Credit cards provide us with access to a world of possibilities. They can help us learn how to make payments while improving our credit score. When payments are made on time, we can improve our credit score quite fast. 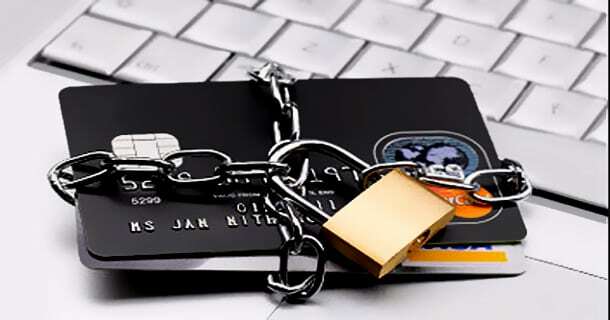 When a card has been misused through either negligence or fraud, our credit score and history could be severely damaged, which is one of the reasons why avoiding credit card fraud is extremely important. All a fraudster needs is a card number, security code, expiry date, and other details associated with a credit card account to make fraudulent transactions. One of the biggest ways fraudsters are getting these details is through telephone and other scams. They often pose as banks or other financial institutions to get these details. It’s important to note that banks (whether a person personally banks with them or not), will not call us asking us for card details for any reason. By keeping our cards in a safe place out of reach from other people, will make sure it cannot easily get stolen. If cards must be taken with us, then we should put them in a bag or wallet that will be close to our body. Really, we should only carry the cards we need with us all the time. Using cards online is much safer than it once was. If we stick with sites that are SSL encrypted for online payments. Card information can get stolen if a site does not have adequate security. Most banks offer a mobile and email alerts system to help us keep track of our accounts. When we see unauthorized usage, we will immediately see it and can report it to our banks right away. Whenever we swipe our card at a store or restaurant, we usually have to provide a PIN. Sharing this information with anyone greatly puts our accounts and cards at risk and it is recommended by all financial institutions and banks to never give this information out no matter what. Destroying personal and financial information that is no longer needed is also recommended. If card details are put in the trash, they can be found and that is all fraudsters in some cases will need to commit fraud on an account. In a case where a card is lost or stolen (it does happen), it should be immediately reported to a financial institution. Banks will help cancel cards, order new ones, and also help with any unauthorized purchases. In case of a financial emergency, it’s important to have a back up plan and by talking with a financial planner Sunshine Coast, planning for the future just got a whole lot easier.